Benedetta brings into focus the sophisticated lines and carved details of a headboard handcrafted by master Italian furniture makers. 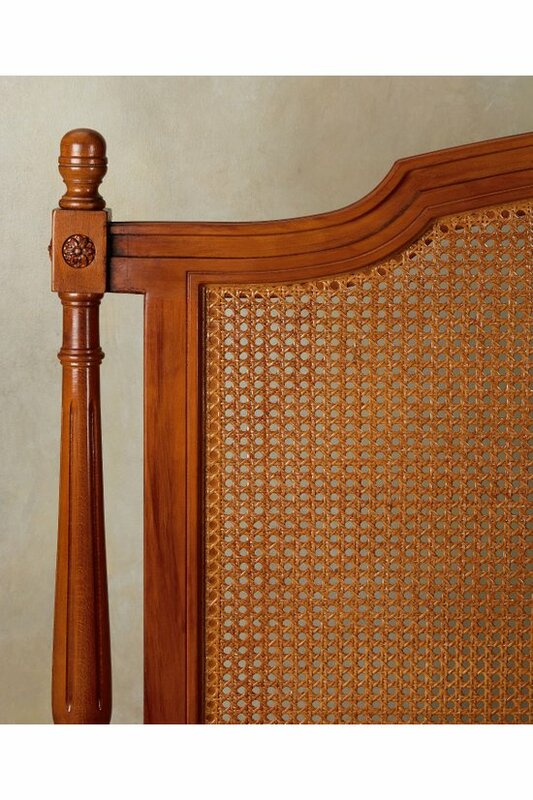 Its grooved, solid wood spindles and notched arch elegantly frame the hand-caned center. This headboard beautifully marries texture with streamlined design - a perfect platform to showcase any bedding, especially ours. Queen has an additional delivery freight charge of $40.00. King has an additional delivery freight charge of $40.00. Queen: 65"W x 2.5"D x 51"H.
King: 82.7"W x 2.5"D x 51"H.
Available in French cherry and white washed. Beechwood, poplar and engineered wood.